WASHINGTON — The Supreme Court sounded skeptical Monday of the National Park Service’s authority to prevent an Alaskan moose hunter from using his motorized rubber boat to access remote areas of the state. 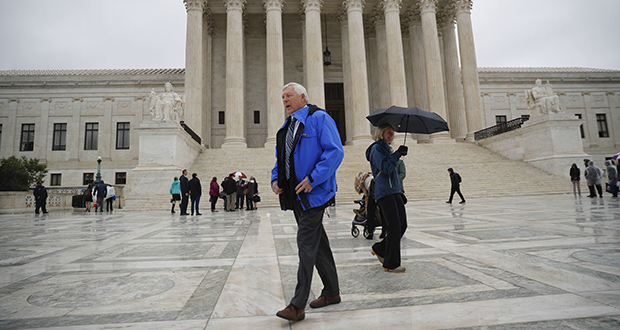 The justices heard arguments in a case that tests the limits of the federal government’s authority in a state in which more than 60 percent of the land is federally owned. Roberts didn’t sound persuaded by that argument. “While you may think a hovercraft is unsightly, I mean, if you’re trying to get from point A to point B, it’s pretty beautiful,” he said. That comment aligned with the argument made by Alaska assistant attorney general Ruth Botstein, who said the law protected the state’s control over rivers. “Our rivers are our only roads,” Botstein said.